As I mentioned in my previous post here, I get really annoyed with drivers who are so careless on the road that they are putting themselves and others in danger. It is not fair that someone is careless and they take the life of some innocent road user or make them injured. 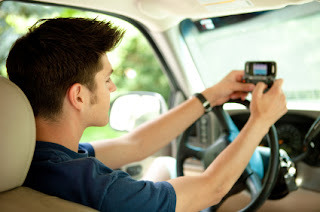 It is a common scene on the road to see a driver holding a mobile while driving. If I could issue fines to these people, I could have made lots of money for the government. Even though talking on a mobile phone while driving is not illegal in Australia, holding it is; but drivers hardly care about these rules until they see a cop car. But things are changing now. They are making these rules very serious. From 1 November 2012, changes to NSW Road Rules have come into effect. These law changes primarily consist of minor amendments, clarifications and tightening of existing road rules. Motorists will only be allowed to use a mobile phone while driving if the phone is fixed to a secure mounting or can be used without the driver having to touch any part of the phone. Here are the new rules that were effective from last week. Drivers cannot hold a phone in their hand, other than to pass it to a passenger, and can’t rest it on their legs or hold it between their shoulder and ear. Provided the phone is mounted in a commercially designed and manufactured cradle, fully-licensed drivers can press buttons on the phone for the purpose to make a call, use GPS systems or listen to music. Texting and emailing while driving, whether the phone is mounted or not, remains illegal. I am so glad they are taking things seriously and hope this will help save lots of innocent lives on the road. 2. If not in a mounting, use of the mobile phone must not require a driver to touch or manipulate the phone in any way. The new laws make it clear that a driver in a moving or stationary vehicle (unless parked) MUST NOT HOLD a phone in his or her hand other than to pass the phone to a passenger. NOTE: Learner and Provisional P1 drivers are not allowed to use ANY function of a phone (including hands-free) while driving. Police and emergency service drivers may continue to use mobile data terminals in the course of their work to receive job allocations, licensing, registration and other important information. 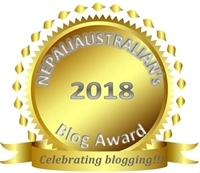 This entry was posted in Australia, Social Issue and tagged cars, New rules for use of mobile phones, NSW Road Rules, Roads and Maritime Services, transportation, Use of mobile phones. Bookmark the permalink. You are always welcome here Sid 🙂 . Even we had strict law, I still find people breaking the law, so I hope they will get caught soon for their own sake. There are some tragic outcomes to cell phone usage whilst driving. Nice to see these changes. I was with my mother when another car whose driver was talking on her cell almost hit our car. Thank goodness for Mom’s good reflex. And the driver didn’t even notice that she almost hit our car. Thank god you guys are safe. Seriously some people are so oblivious of their environment that I can’t imagine what they are thinking. It is funny how stupid people can be. Now the rules are so strict on the road, I stills saw two driver on hand held phone on the road yesterday. I really hope they will be caught by the cops before they kill someone. I agree wholeheartedly. They don’t understand how THEIR lives would change if they had to live with a tragedy that they may have caused.